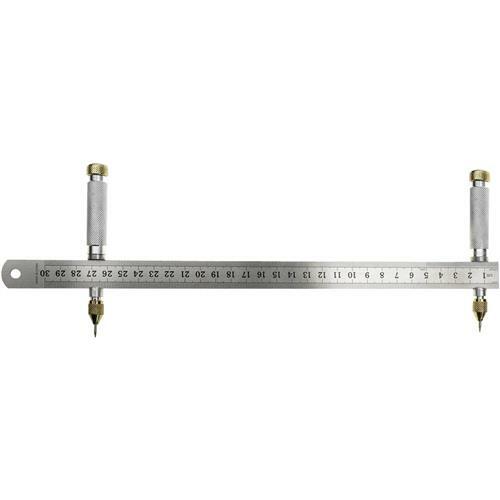 For laying out large circles, this Trammel/ Circle Marker Set offers unsurpassed control and accuracy. 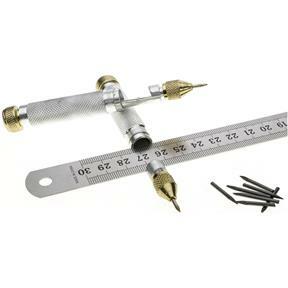 Each trammel point with steel point or replaceable lead is fully adjustable. 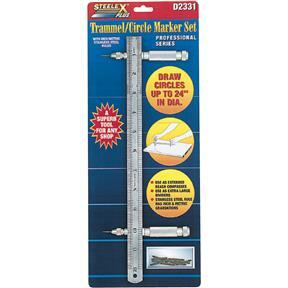 Includes a 12" stainless steel ruler and extra lead.